Rugby league fans heading to one of the sport’s biggest showpiece events this weekend have been offered useful travel advice. Twelve Super League clubs are heading to St James’s Park in Newcastle for this year’s Magic Weekend tournament, which features three games on each day. 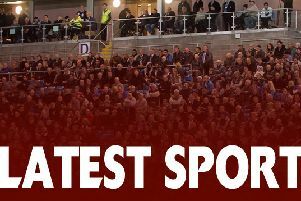 Leeds Rhinos, Castleford Tigers, Wakefield Wildcats and Huddersfield Giants will all be in action. Highways England officers have warned supporters about the potential for traffic chaos on the north east’s roads when thousands of fans descend on the region. The A1, A19 and A184 are likely to very busy, with close to 70,000 supporters expected in the city, and staggered start times mean there will be peaks throughout the day. The event also includes live music and a fanzone. “We’re expecting the roads around Newcastle to be particularly busy this weekend so we’re advising drivers to plan their journeys in advance and allow extra time. Drivers are being reminded that road upgrade projects are currently underway in the area, leading to narrow lanes and reduced speed limits along the A1 near Newcastle and in North Yorkshire. There will also be overnight closures between 8pm and 6am on Saturday and Sunday night on the A1 northbound between junction 50 and Scotch Corner and southbound between Scotch Corner and junction 51, and on the A1 at Holystone Interchange on the northbound carriageway. Travelling parties should check road conditions before setting off, take regular breaks and ensure they have enough fuel for the journey. Highways England provides live traffic information at www.trafficengland.com, on local and national radio travel bulletins, electronic road signs and mobile apps. Local traffic information is also available on Twitter at @highwaysNEAST.